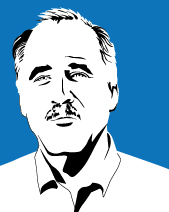 I recently spoke with Stan Swete, chief technology officer at Workday, about simplification of enterprise software to drive increased adoption and customer benefit. With 30 years of industry experience, Swete is helping to drive Workday's modern approach in a familiar space by simplifying the delivery of enterprise software applications so that they deliver more value for customers. This vets out to a system that is easier to use, upgrade, and support than existing applications. In a technology world where the only constant is change, Workday remains focused on providing an architecture that can keep it's hundreds of thousands of customers current on the same release and deliver frequent and continuous updates without being cost prohibitive. Here Swete shares his strategies for simplifying enterprise software. Simplify usability by adopting a consumer mindset: Workday's simple but never simplistic approach to enterprise apps stems from a focus on what consumer internet companies are doing instead of what other enterprise apps are doing. Using the consumer internet as a model for user experience has enabled them to see things from the eye of the customer and simplify what they are doing. Simplicity is important on many levels, but with regards to the user interface, Swete recommends that enterprise software companies make apps as simple as possible from the user and vendor perspective. According to a recent TechRepublic survey, only 27% of IT leaders are very happy with their current enterprise software. How are they missing the mark 73% of the time? The key is to develop simple and easy to use solutions that just works. Simplify the structure of apps to optimize seamless upgrades: Typical enterprise applications are defined in terms of thousands or tens of thousands of tables. Swete tells us that Workday has a fixed set of tables that number fewer than 20. This completely different approach reduces complexity making change easier. When the company drives a lot of new feature changes, the schema they use in their systems does not have to change, facilitating more frequent updates while being cost effective. Swete says that to build simple, less complex enterprise software apps that move and evolve over time means frequent, continuous updates and keeping customers current which requires an infrastructure that supports that. This requires a complete re-architecture, using technology to make it as simple as possible and reducing the moving parts to keep things moving forward. Migrate to cloud with a simple architecture that's adaptable: "I don't think you can be on a really complex architecture, and migrate complex implementations to the cloud and have them be capable of being changed over time," says Swete. Cloud expert, David Linthicum, says that "People have a tendency not to think about architecture, but the fact is cloud computing does not replace enterprise architecture." According to Swete, in order to simplify the architecture enterprises will need to do some specific things. Workday has taken the relational database completely out of the design of their apps which they think leads to the simplified schema they need to be able to move forward. They have also gone to a completely definitional development of their apps; they don't define logic through coding but by filling out forms to create metadata that provides the logic. In addition to the architecture, businesses need to ask if they can adapt the software to meet their needs in a simple way. The question of migrating to cloud is in the results. According to Swete, "If your architecture can allow you to keep customers current on a release and deliver frequent updates without being cost prohibitive, then you have the right architecture for the cloud." Mobile first user experience: Mobile is super-important to the enterprise application industry. Workday is increasingly widening the footprint of the functionality that is available on mobile with every update. "When companies shift to mobile the bar raises again with regards to user interface where the focus need to be on getting to the point," says Swete. He says their best UI designers are the mobile designers and with a lot of mobile-first design happening, they find that a lot of mobile designs feed back into the web browser. Swete believes that a lot can be learned from this idea of simplicity when it comes to mobile design where fields are taken off of screens, clutter is reduced and more white space is added, resulting in a more presentable solution. Workday takes the attitude of treating mobile as a modern requirement of apps and feels that when you buy the app you should get mobile access; it should not be sold as an add-on product or platform. Sure it's nice to offer something for free but there is more here than meets the eye. When you offer mobile as an add-on, you are back to adding complexity and undermining the ability to continuously move forward rapidly. When mobile is offered for free there is no need to buy a product or platform that will need to be installed and integrated. Centralized services with intuitive, self-service UI: Despite the fact that we are in a bad economy there is still a squeeze for talent in the tech industry. Swete says it's the toughest hiring environment he has seen in 30 years. The fact that the competition is tougher and more companies are going for same type of resources is causing companies to refocus on what strategic HR means. For Workday this meant listening to requests from customers to be able to use HCM apps to more directly engage the workforce. This led to the development of a unified view that provides one place to go to get all the information, including a talent profile that aids companies in recruiting internal talent to help combat the external talent shortage. They also added an engagement piece which widened the usage of the system to allow employees to configure their own information, so they can publish information about themselves that they can share out and find others with common interests. "We want systems that can heighten engagement - an important element for retention and recruiting." Insightful reporting: You should be able to get information out of your systems without hiring a data scientist. Swete recognizes that as Big Data becomes more relevant, data scientists will be in greater demand at large enterprises, but it is his goal that at Workday you won't ever need to wait for the data scientist to show up to get more information out of your apps. "With all the data that is available today companies ought to be able to get insight out of these transaction systems without the need of data scientists," says Swete. At Workday we have people taking deeper looks at the data, which should be an important part of any modern business. Through Big Data analytics, Workday is adding to the sophistication of the data and giving it a place in the cloud and equipping customers with a tool to do things with the data without having to be a data scientist.